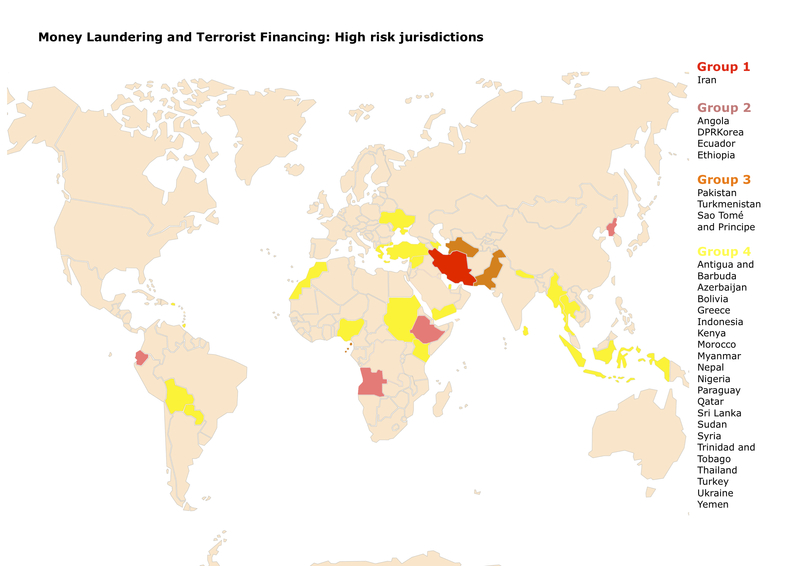 Demagogues such as Sen. Carl Levin (D-MI), as well as many other politicians and journalists, often assert that low-tax jurisdictions are havens for dirty money and terrorist financing. From a theoretical perspective, this does not make sense. So-called tax havens have a big incentive to avoid scandal since they are much more vulnerable to reputational risk. Just imagine what would have happened, after all, if the 9-11 terrorists had used a bank in the Bahamas instead of a bank in Florida. Critics of low-tax jurisdictions automatically would have assumed that the bank was complicit and the entire financial services industry in the Bahamas would have been crippled – or even destroyed. But because the terrorists used American banks (as well as banks in high-tax European nations and the Middle East), there was no knee-jerk reaction. People understood that the bank tellers and managers had no way of knowing that the flight school students were actually lunatics.